Forty-nine people suspected of genocide, torture or other serious crimes abroad are living in the UK despite being priority cases for deportation, figures reveal. Because courts have ruled they could be harmed or killed if sent to their home country, the suspects have been given "restricted" leave to stay in the UK. Rules were introduced to monitor such cases more closely in 2011. Since then one person subject to the restrictions has been deported. One recent case involving an individual refused asylum, who cannot legally be removed from Britain, is that of a former Taliban deputy commander accused of attacking Nato forces in Afghanistan. Others remaining in Britain are from Iraq, Sri Lanka, Eritrea and Zimbabwe, according to details released to the BBC following a Freedom of Information request. The Home Office says it is "determined that the UK should not become a refuge for war criminals and those who have committed crimes against humanity." The denial of refugee status combined with the block on deportation means those on restricted leave are in a "sort of legal limbo", according to Christopher Cole, chairman of the Law Society's Immigration Law Committee. He said: "Unless there is a fundamental change in many of these [people's] country of origin then realistically there isn't any prospect of many of these people being removed. "Certainly not within six months, and unlikely within six, 10, 12 years - who knows?" he said. 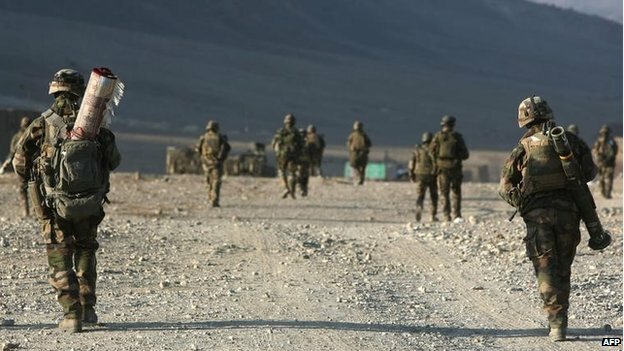 The case of the former Taliban fighter who claimed asylum in the UK focused on his actions with several armed groups in Afghanistan. An immigration court judgement in September 2013 described the man, known only as DD, as having an "established role as a military leader and fighter" in Afghanistan. The court heard how, when asked by UK immigration officials why he had not surrendered in Afghanistan during the US intervention, DD answered: "I would not surrender to Americans even now." According to the judges, during his time in one militant group, DD had command of 10 to 15 people fighting against anyone regarded as the enemy and "that included Nato (Isaf) forces." He came to Britain in 2007 and is still living here. DD was refused asylum and has been granted a restricted form of permission to stay, although it is unclear whether he is one of the 49 specific cases mentioned by the Home Office. The court heard DD later denied having an active military role or being directly involved with the Taliban. The judges said there was "no current prospect" of his removal to Afghanistan as he could face mistreatment there from "enemies" in positions of power. "It beggars belief that this individual was allowed to stay in [Britain]," said the Labour MP Michael McCann, a former chair of the all-party parliamentary group to prevent genocide. "When you look at the evidence to suggest that this individual had attacked Isaf forces... He shouldn't have been allowed leave to remain in the UK for that fact alone," he added. 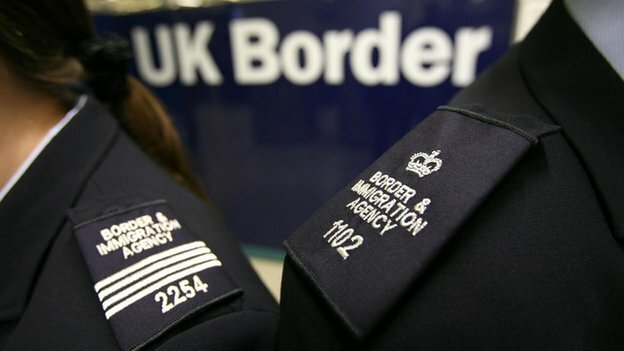 Previous figures obtained by the BBC suggest that in each year since 2005 the Home Office identified around 100 war crimes suspects who make UK immigration applications. According to Home Office guidance, those granted restricted leave are a "priority" for removal from Britain. 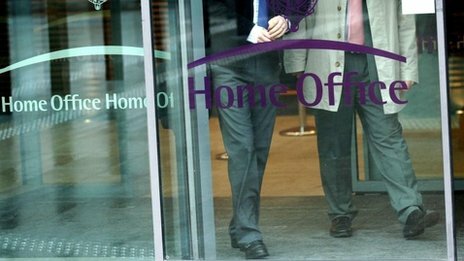 The Home Office says that "anyone accused of these crimes should be put on trial in their home country"
They must reapply every six months for the legal right to remain here, cannot study or do certain jobs, cannot leave home for more than three nights in a row, and have to report to immigration officials at regular intervals. However, the BBC understands that in one case, an individual subject to restricted leave provisions had to wait 18 months just to find out whether his six month leave had been extended. Human rights groups say too few suspected war criminals in Britain are being investigated by police, who have powers to look into their cases under existing laws. "There needs to be investment from the government so that Britain is not a safe haven for war criminals," explained Dr James Smith, chief executive of the Aegis Trust, which successfully campaigned in 2009 for a strengthening of the law to prosecute war crimes suspects in the UK. He said: "There needs to be greater communication between the border agencies and the Metropolitan Police counter-terrorism command. "If we are to deal with this problem of having 49 suspects living at peace in the UK, there needs to be a specialist war crimes unit," he added. The Metropolitan Police has previously said there is "rarely" enough evidence available to bring charges in these kinds of cases. All 49 cases of restricted leave involve people who have fallen foul of Article 1F of the Refugee Convention, which stops individuals being given asylum in the UK if they have been involved in war crimes, terrorism or other serious crimes abroad. However, under the European Convention on Human Rights, they cannot be legally removed from Britain to their home country because they may be at risk of torture or even death. The Home Office says "anyone accused of these crimes should be put on trial in their home country and we will always seek to return them to face justice."